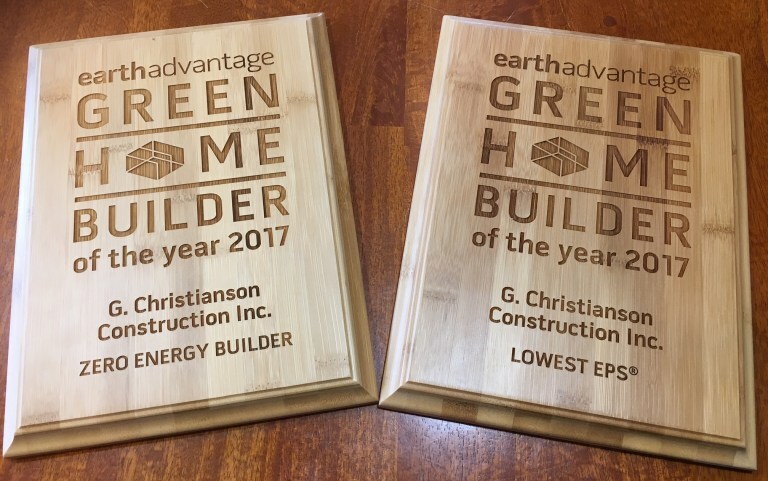 G. Christianson Construction More accolades for the Christianson Passive House! Check it out: the Christianson passive house was published in Green Building & Design Magazine! The Christianson Passive House is a 1,935-square-foot single family home. By reducing energy using Passive House design, G. Christianson Construction was able to install enough solar panels to become net zero. The project’s carbon footprint is one-fifth that of a typical house built in Oregon of the same size.